New Delhi : Finding serious lapses on the part of doctors at AIIMS, New Delhi in the treatment of Nurse Rajbir Kaur that led to her death in 2017, the Delhi Medical council has ordered the suspension of 3 resident doctors involved in the case. The incident had become a severe bone of contention between the doctors and nurses at AIIMS last year. 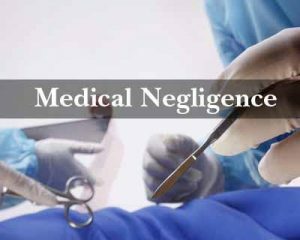 Briefly summarising the case, the council noted that late Rajbir Kaur was full term pregnancy with GDM (Gestational Diabetes Mellitus) who was induced on 16th January, 2017. The patient late Rajbir Kaur responded to induction and went into labour and was progressing normally till 5.30 a.m. (17-01-2017). After that, sudden drop of fetal heart sound was observed at 6.00 a.m. and the patient was shifted to O.T. immediately. No attempt of intrauterine resuscitation was made. Similarily, no CTG tracing is available in the records to support acute distress. The main OT Table (Front Table) was not available and so, the patient was taken on back O.T. Table which had sub-optimal facilities. There is no documentation of the fetal heart sound being heard on the O.T. table. The LSCS was done under chaotic circumstances with inappropriate anaesthesia and the patient had cardiac arrest on the table. The baby was delivered still birth but no obvious cause of acute fetal distress was ascertained. The patient was revived later and shifted to ICU where she succumbed on 4th February, 2017 due to septicaemia and multi-organ failure. 1- Lapses On Part of SR Gynaecology – The council observed that the concerned Senior Resident (gynaecology) was not able to explain regarding the cause of sudden drop of fetal heart sound in a patient and also the absence of meconium which is a frequent accompaniment of acute fetal distress, who was progressing normally as per records. Due to sudden drop of fetal heart sound , they insisted that the case of late Rajbir Kaur be taken up immediately on the sub-optimal table (Back OT Table) though the first case (i.e. the twin pregnancy LSCS) on the regular table (Front Table) was about to finish. The gynaecology team denies knowledge of sub-optimal condition of that O.T. (i.e. Back OT Table) but anaesthetists insist that it was common knowledge and infact the same was discussed in minutes of maternity O.T. working held on 7th June, 2014. There is discrepancy between statements and documentation between gynaecology and anaesthesia team; whether the case was started under local anaestehsia is not clear and neither is the time of cardiac arrest of the patient late Rajbir Kaur. However, as the baby was still born, cyanosed and limp, the fetal death may have taken place prior to delivery due to cardiac arrest of the patient late Rajbir Kaur. 2) Lapses in Records – The council observed that record keeping which is integral to good medical practice, in this case left much to be desired. It was noted that as per the anaesthesia record dated 17th January, 2017, the time of starting of surgery was mentioned as 4.30 a.m., whereas as per the CPR notes written by the Senior Resident, Anaesthesia, it seems that the CPR was initiated at 4.30 a.m. 17.01.2017. However, the clinical notes of gynaecology doctors of the patient showed that between 4.30 a.m. to 6.00 a.m. the patient was being apparently monitored in the labour ward and it was only at 6.00 a.m., the patient was shifted to the maternity O.T. for emergency LSCS and her female baby was delivered at 6.13 a.m. The council order added that the resident was not qualified and experienced enough to give General anesthesia to such patients (considered as full stomach). “The patient died due to his incompetence, as it was observed during cross questioning that he could not intubate and ventilate the patient, in addition he could not even diagnose the wrong intubation and cardiac arrest,” the order noted. 4) Lapses On Part of the Senior Resident( Anaesthesia)– The council observed that senior has been guilty of dereliction of duty, as instead of being present in the maternity O.T. on 17th January, 2017 being the SR(Anaesthesia) at the time of this incident and also the twin pregnancy LSCS which was undertaken on the Front Table, he was not there. It is apparent from the medical records of the said Hospital, that Dr ostensibly even though is claimed to have been present when the twin pregnancy LSCS was started, was absent when the said procedure was being completed. He thus left the O.T. in the hands of the J.R., who is apparently was not competent to manage the maternity (0.T.) from anaestehsia point of view especially in reference to the twin pregnancy LSCS case and also the case of late Rajbir Kaur. If SR did not come to manage the patient, it was the duty of the on call consultant anesthetist to come for that case and take action against the SR (absent from the duty) later on. However, the consultant anaesthesia was not informed in time. That name of the SR Gynaecology be removed from the State Medical Register of the Delhi Medical Council for a Period of 30 days with a direction that she should undergo twelve hours of Continuing Medical Education on the subject “Labour Management” and submit a compliance report: to this effect to the Delhi Medical Council. The name of the SR Anaesthesia be also removed from the State Medical Register of the Delhi Medical Council for a period of 30 days. The name of JR Anaesthesia be removed for a period of 30 days with a direction that he should undergo twelve hours of Continuing Medical Education (C.M.E.) on the subject “Learning of Proper Intubation”. The council also noted that the doctor was not registered with DMC, rather was registered with WB Medical council. The council noted this as a serious lapse of employing the doctor by the administrative authorities of the All India Institute of Medical Sciences is serious violation of Section 15(6) of the Delhi Medical Council Act, 1997 which mandates that “any person servicing or practising modern scientific system of medicine in NCT of Delhi shall be registered with the Delhi Medical Council”, warrants administrative action to be initiated by the Ministry of Health & Family Welfare, Govt. of India against the concerned personnel. ” This whole incident is a poor reflection on the lack of coordination and team work between the gynaecology team and anaesthesia team, which resulted in this unfortunate tragedy. We hope that the senior doctors of both the department would introspect and initiate measures with sincere solemnity, which will ensure a harmonious working of both the departments, so that the patients do not suffer or their lives are not put at risk, in future,” stated the order. Not 30 days for this lapse they need to be fired, as long as you keep the doctors in who are doing a great disservice to mankind, until you fire them forever, jail them, and forever take their license, other doctors will continue with impunity. MAXIMUM punishment must be given to these doctors so that others can get justice, All you have given is 30 day leave to the doctor so he can go and relax and take vacation for 30 days in UK, or Switzerland, and come back,. 1. Those from the OBGYN area know that in obstetrics the outcome can be very unpredictable which is why it is one of the most litigous branches of today..
2.One cannot anticipate all outcomes and take measures beforehand..if that were the case no one would die. 3. It is almost always made out as if the treating doctors are some kind of psychopaths willing to kill anyone at the drop of a hat which is absurd. 4. I am sure that the doctors involved have a few success stories of their own to tell..but is anyone keeping track of those ? Where are they being documented ? 5. For all those who point fingers, try waking for just 2 consecutive days and nights, be continuously on your toes, without a bath or proper meal in a day…and then I\’ll ask you, how much documentation did you do ? Then repeat this cycle for three long years ! 6. And last but not the least..Is the MCI spotless ? As a doc do you know how much you are paid? For just 2 mins of inspection you are given 500Rs. and you collect from each from each patient? Do you know how much labor and effort construction workers make, risking their lives, working sometimes for days on stretch eating just 10 rs. meal to save money so their kids can go to school. All the skyscrapers that you see, just imagine the labor done, now compare to your life of arriving to work in BMW, examining patients, sitting in AC offices and going home and sleeping in AC, getting great salaries and enjoying a lifestyle, compare that to the lowest class. This is total negligence of the Gynaecology people . Junior residents don\’t and also are not authorized to give anaesthesia . l s c s by the Gynaecologist under local is totally her responsibility and therefore all negligence by her only . Are you a doctor or a non medical person. It is easy to blame somebody. There is no fault of the gynaecology resident. It is easy to say no record keeping but do we really that much staff to maintain all this file work. If the patient had NOT been taken in the \’suboptimal OT\’, then the case would have been \’Why was she not taken in view of saving life\’? Just ask if any VIP, even the 5 paise ones stands in the queue to see the doctor.They pressurise the DR to see them out of turn/in their rooms etc. Avg number of patients seen by DR in govt hospital OPD is >100/day. & u expect treatment same as UK/US in Indian condtions? Political & bureaucratic pressure to give ICU to patients not needing it etc are other examples. The society wants NO DRs.We should fulill its want. No sane person should come into this profession.